President of Pentecostal Theological Seminary and Chancellor of the Division of Education for the Church of God (Cleveland, TN). President of Pentecostal Theological Seminary and Chancellor of the Division of Education for the Church of God. 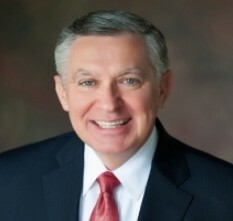 Dr. Baker has served the Church of God as pastor, Director of Global Communications, former member of the Church of God Executive Council, Administrative Bishop of Virginia and North Georgia, and numerous external faith communities. As Chancellor, Dr. Baker has envisioned the Global Education Initiative which will enhance Church of God educational endeavors throughout the world for the next generation of ministers and leaders.